Over the past 15 years, Software Traceability researchers have investigated a wide variety of information retrieval and machine learning techniques to automated the traceability process. For the most part, these techniques hit a glass ceiling, achieving high recall at relatively low precision. 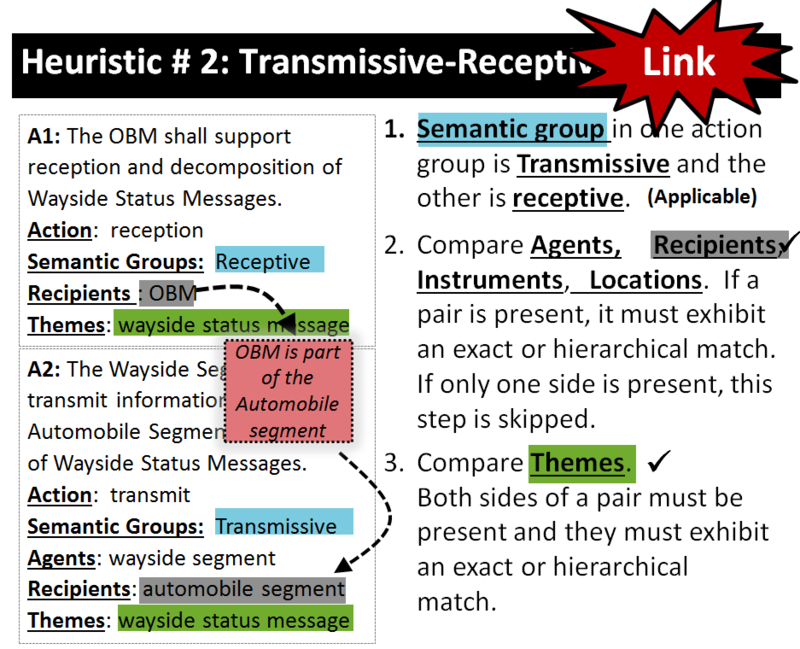 At the same time, human domain experts are well capable of reasoning about whether two artifacts are related or not. 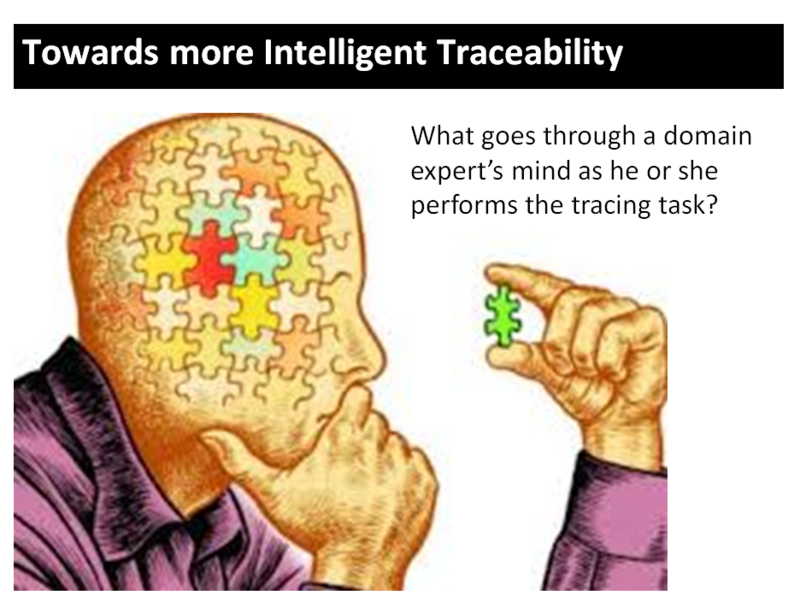 The intelligent traceability agent reasons over facts in the knowledge base.